Want to Free Rip Audio from YouTube? • Fully compatible with Windows 10 and lower. 100% free and clean. • Free download YouTube audio as M4A or WebM at fast speed. • Also support 8K 4K HD video download from 600+ sites (incl. YouTube). Free download this tool to save your desired YouTube video and audio! 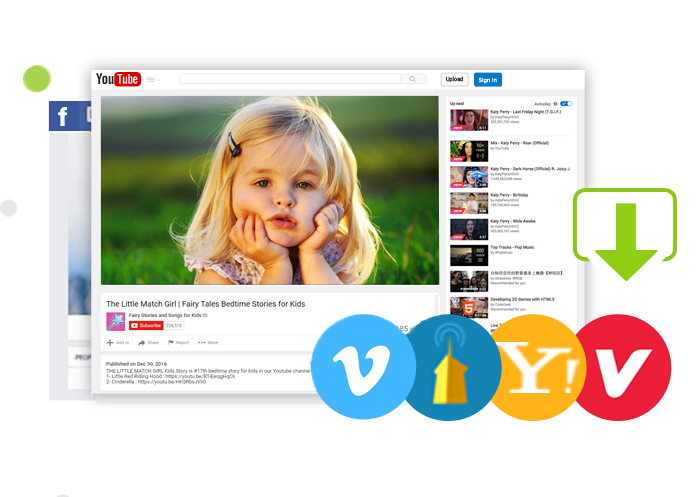 As all we know, YouTube is a popular video-hosting site where we can find different kinds of videos, including music videos, sports, video tutorials, and so on. So, we often come to YouTube, watch some videos we're interested in, and sometimes even want to rip some audios (e.g., the singing portion of a video) from YouTube for listening offline. 3. rip audio from YouTube directly with a desktop-based YouTube audio downloader. Among all these methods, the third one is the most recommended option because it provides fast and stable working, easy-to-use operation, and high-quality output. If you want to try the method 3, just read on. Here we'll introduce a fast, easy, and free YouTube audio downloader called WinX YouTube Downloader, and illustrate how to rip audio from YouTube with this tool. WinX YouTube Downloader is a 100% free YouTube video and audio downloader that can run stably on 32 bit and 64 bit Windows 10, 8, 7, and lower. Free as it is, it will never bring you virus, spyware, malware, adware, or other malicious stuff. This tool allows you to rip audio from YouTube video in 3 simple steps. The output quality is always great thanks to inbuilt High Quality Engine. And, it can finish YouTube audio download at superfast speed by taking the advantage of Hyper-threading technology. 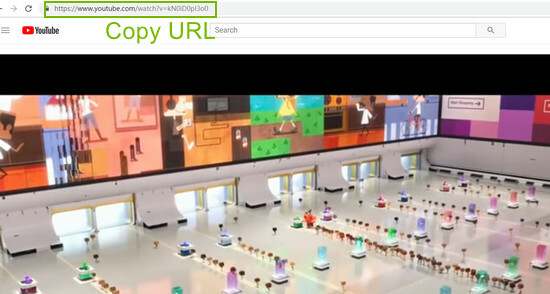 Tips: Apart from extracting audio from YouTube video, WinX YouTube Downloader is also available to download 8K/4K/HD video from YouTube, Twitter, Facebook, Vimeo, and other sites, 600+ sites in total. To begin with, you need to go to YouTube, find the video that contains your desired audio, and copy its URL from the address bar on the top. Plus, you're allowed to input a YouTube playlist or channel URL to download dozens of audios in batch. Next, open WinX YouTube Downloader and follow the steps below to get audio from YouTube video. If you haven't downloaded this tool on your computer, click the download button above to get the setup file now. Step 1. Input target YouTube URL and let the downloader analyze it. When you launch WinX YouTube Downloader, you should see "Add Url" button at the top left corner of the main UI. Click "Add Url", and then click "Paste URL & Analyze" button on the pop-up window. Then, the YouTube URL will be pasted into the text box and analyzed immediately. Once analysis done, it will give you a list of available output options. By default, it will only present four options. But if you click "Show All" button, you will find more options. Choose one and click "Download selected videos". Step 2. Choose desired audio format. Click "Select output format" on the pending task, scroll down and choose a M4A or WebM audio option (Resolution: N/A) as the image shows. Tips: If you want to rip YouTube audio or music to MP3 or other audio formats, you can try the advanced version - VideoProc. This program allows you to directly download sound/music from YouTube as MP3, and convert between different audio formats. Step 3. Start downloading YouTube audio to your local drive. The default output folder is C:\Users\admin\Videos\WinX YouTube Downloader. You can click "Browse" to specify another save path. Once complete, you only need to click "Download now" button. Then, this YouTube audio grabber will begin working instantly. A moment later, it will export your desired audio. 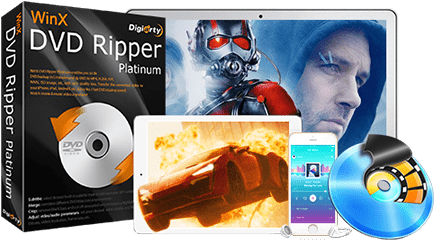 Best free YouTube downloader 2018 for Windows/10 to save online movie music videos 4K, MP4, FLV, 3D, 360 degree, etc from YouTube, Vimeo, Vevo and other 300+ sites. How can I download Instagram videos to MP4? These two top-notch free Instagram MP4 video downloaders will help you download online Instagram videos for saving and watching on PC, Mac, iPhone, Android, etc. Is 4K Video Downloader Malware? 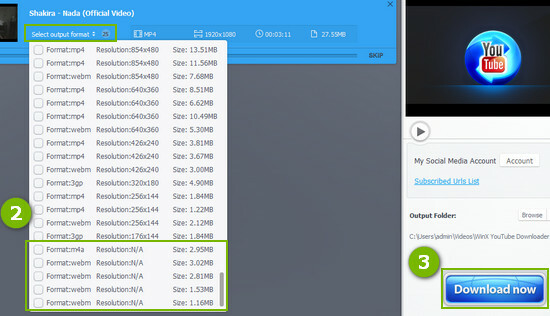 Is 4K Video Downloader Malware? Is it a safe program for downloading videos from YouTube, Facebook and the like? Check how to download online videos up to 4K without being infected by virus.